Holiday Party Checklist: What To Do Now for Christmas! In our two part series on Holiday Party Checklists and What Needs To Be Done Now, we present a guide in hosting holiday events and how to make it happen. Colorado Party Rentals has everything you need to pull an event together, our coordinators will even help you plan it! Learn what you need to do this week to host the ultimate Christmas open house. With these guidelines from Colorado Party Rentals, you will be fully prepared for the holidays before they are upon us! For a Christmas open house, you will want to send invitations out to be received 5 to 6 weeks in advance. Because the holidays are such a hectic and busy season for most individuals, send invitations far in advance to be assured people will have a clear calendar! For the invitations, its usually best to send personalized invitations. Announce the theme and purpose, listing the date and time as well. You can have fun with it and sign it, ‘Santa’. Now that you have your invitations out and theme, you have a few weeks to consider the arrangement or set up you desire. Give yourself at least six weeks to call movers if you need furniture moved out of your house, or rearranged to provide ample room for guests. Consider a valet parking service if you are hosting a large event. Colorado Party Rentals can help you coordinate needs for tables, chairs, dance stage, linens, and everything in between. Your food will set the stage for your Christmas party. 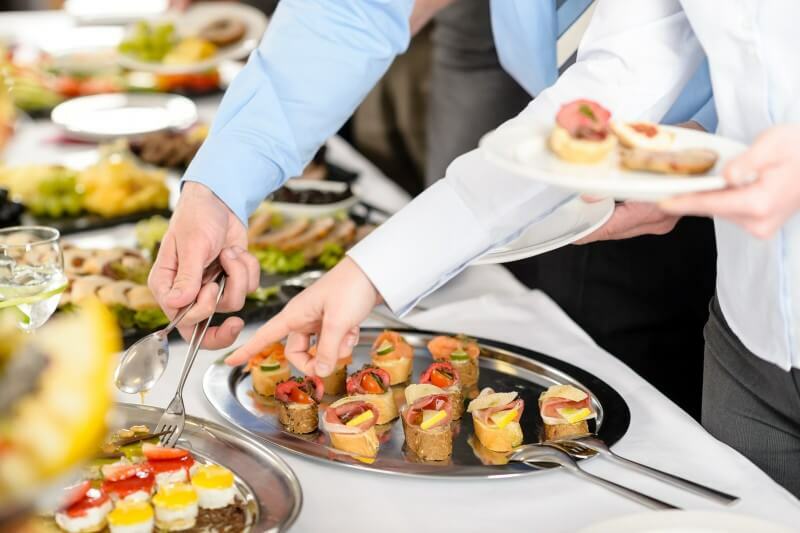 If you would like to host a formal party, or a ‘cocktail attire’ worthy event, consider hiring a wait staff to walk around with trays of hors d’oeurves or a catering service with a buffet style table. Whatever you opt for, be sure it’s festive, complete with the holiday treats everyone looks forward to once a year! Call Colorado Party Rentals To Discuss Your Christmas Party Today!